Metro’s first ever bowling league has come and gone! 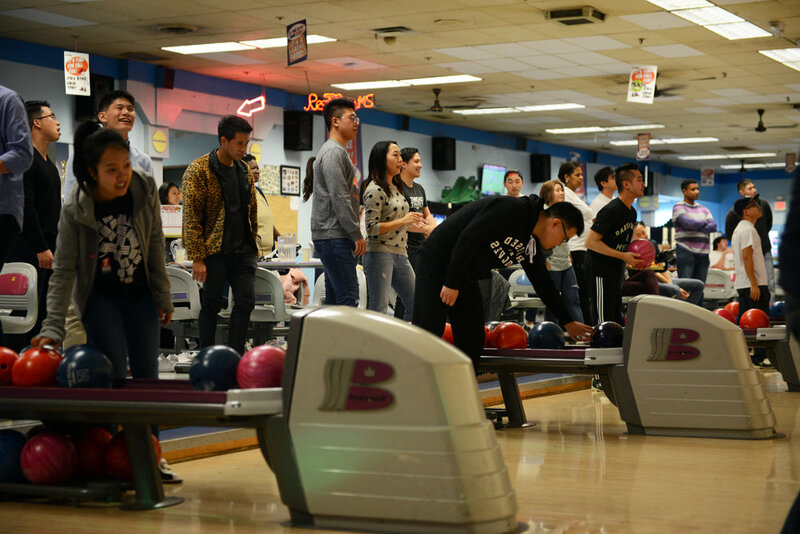 For the past few weeks this September, the Metro singles hit the lanes to hone in on their bowling skills while building relationships with fellow singles. It was a blast being with both new and familiar faces for the few weeks of this first season and I want to thank the 60+ singles that signed up for this league and bowled their hearts out. Congratulations to Will’s Team for taking first place, and a special shout-out to those who served as captains of their teams - thank you for serving in this capacity as facilitators, cheerleaders, and welcoming faces. I can’t thank you enough. The motive behind the bowling league was simply to bring people together consistently in order to build lasting relationships. The captains picked to lead the teams were mostly UG leaders or leaders at our church, while their respective teams served as mini UGs for the four weeks that the league went on. The core team's hope was that this would cause people who signed up for the league to join an Underground Group for the long term, which we believe came to fruition. Community building has always been something that was important to our team, and we are extremely blessed by how our community is responding!